The Farmingdale company, now focused on cryptocurrency technology, was formerly known for its Long Island Iced Tea beverages. Long Blockchain Corp., the former Farmingdale iced tea company that rebranded and shifted its business during the cryptocurrency investing frenzy, has reached a tentative deal to sell its Long Island Iced Tea business. ECC Ventures 2 Corp., a Vancouver, Canada, investment company, signed a letter of intent to acquire the unit of Long Blockchain in a cash and stock deal, according to a government filing and news release on Wednesday. Long Blockchain would get $500,000 (Canadian) and 9.2 million shares of ECC after that company completes a share consolidation. Shares of the new Canadian company are expected to trade on a tier of the Toronto Stock Exchange, replacing ECC's listing. The board of Long Blockchain approved the deal, which also requires approval of the Toronto bourse, or stock exchange, Andy Shape, chief executive of Long Blockchain, said in a telephone interview. 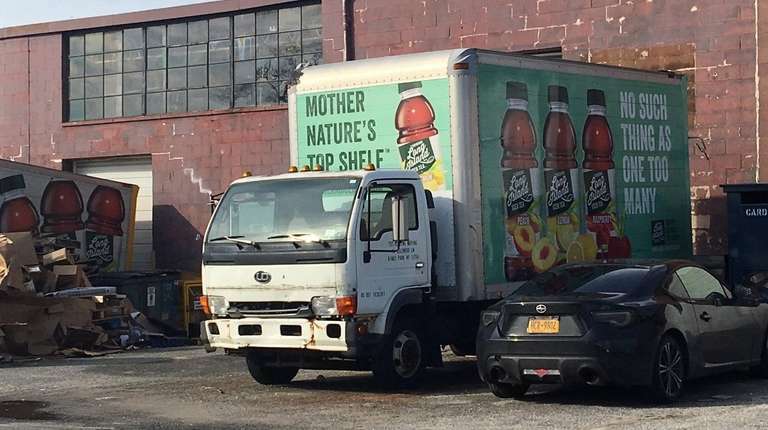 Efforts to reach ECC director Scott Ackerman were not successful, and it was unclear if the iced tea unit, officially known as Long Island Brand Beverages LLC, would retain its current headquarters in Farmingdale. The news release said completion of the deal hinges on raising financing through a private placement. Long Island Brand Beverages posted unaudited net revenue of $1.5 million for the six months ended June 30, 2018, according to the news release. Shape said it also was unclear where Long Blockchain's operations would be based should the transaction go through. "Once the deal is completed, we will assess" the situation, he said. Shape also is president of Stran & Co. Inc., a promotional, gift card and loyalty marketing company in Quincy, Massachusetts. In July 2018, when Shape was appointed chairman and CEO of Long Blockchain, the Farmingdale company formed a subsidiary called Stran Loyalty Group (unrelated to Stran & Co.) to develop new loyalty-marketing technology and partner with the Massachusetts company. Long Island Brand Beverages sells ready-to-drink juice and iced tea through distributors and regional and national retail chains. In December 2017, Long Island Iced Tea Corp. announced it was changing its name and would focus on blockchain, the technology behind the digital currency bitcoin. The company’s stock soared as high as $9.49 after the announcement that December. Shares of Long Blockchain, however, have plummeted along with the price of bitcoin, the most prominent cryptocurrency. Bitcoin shares peaked around $20,000 in December 2017 but were trading at about $3,600 late Thursday afternoon. Long Blockchain shares closed down 5.8 percent Thursday to 19 cents. Blockchain is a digital ledger sheet where transactions in cryptocurrencies such as bitcoin are recorded.